Only community health center in Connecticut with both primary care medical, behavioral health home certifications; only one of five nationwide with unique combination of accreditations and certifications. Wheeler is the only Connecticut community health center certified by The Joint Commission as both a Primary Care Medical and a Behavioral Health “Health Home.” In addition, the organization is accredited for behavioral health and ambulatory health care. 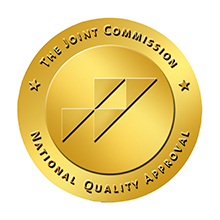 Wheeler is the only Connecticut community health center to attain the Joint Commission’s Gold Seal of Approval® for all four of these distinct Accreditations and Certifications together, and only one of five nationwide.